Price listed is for each pair of earrings. The findings are silver plated. 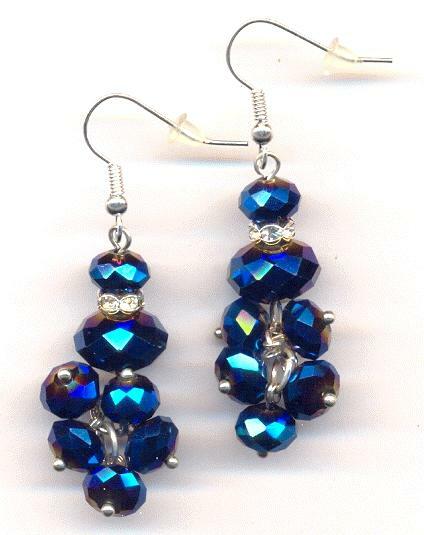 They are made with sapphire/gold vitrail Chinese crystals and clear rhinestones. Excluding the ear wires they measure about 40mm long.